Singapore, 25 April 2019- Commemorate this year’s Rice Dumpling Festival with Michelin-rated Shisen Hanten’s five varieties of rice dumplings including two new vegetarian options. 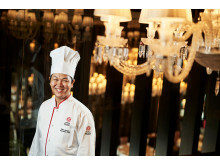 From 22 May to 7 June, take home these tasty bundles of delight especially created by Executive Chef Chen Kentaro. Savour the popular Hong Kong-style Dumpling which features premium ingredients such as roasted duck, roasted pork, shiitake, chestnut and dried scallop. Another signature favourite would be the Abalone Dumpling which includes premium baby abalone, pork belly, and other exquisite ingredients. Making a debut this year will be the Japanese Purple Potato and Pumpkin Dumpling. Perfectly steamed Hokkaido pumpkin are mixed with glutinous rice and stuffed with purple sweet potato, a healthy alternative. Also a new addition is the Azuki Red Bean Dumpling that is filled with decadent Japanese red bean paste. 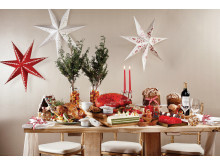 The Assorted Dumpling Set, priced at $65, is perfect as a gift or for sharing. 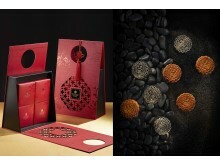 Each set contains the Abalone Dumpling, the Hong Kong-style Dumpling, and two pieces of Azuki Red Bean Dumpling. 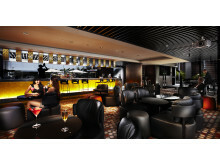 For more information, visit meritushotels.com/mandarin-orchard-singapore/offers/rice-dumpling-festival.html. Commemorate this year’s Rice Dumpling Festival with Michelin-rated Shisen Hanten’s five varieties of rice dumplings including two new vegetarian options. 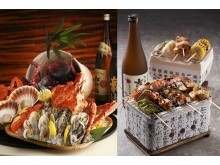 From 22 May to 7 June, take home these tasty bundles of delight especially created by Executive Chef Chen Kentaro. 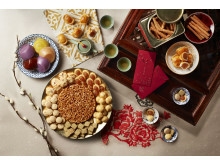 Mandarin Orchard Singapore celebrates the Year of the Pig with a wide array of prosperous Lunar New Year delicacies and takeaway goodies. 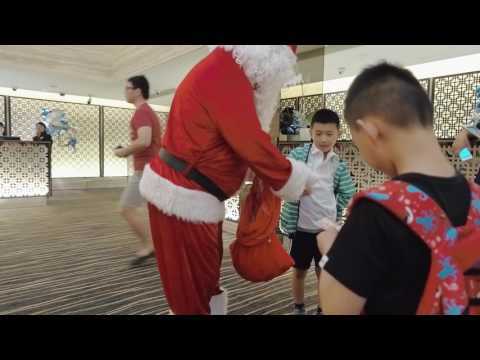 Mandarin Orchard Singapore unveils an extravagant line-up of Christmas feasts and takeaways to celebrate the Yuletide season. 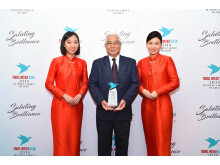 Asian hospitality icon Mandarin Orchard Singapore was named Best Upscale Hotel–Asia Pacific at the Travel Weekly Asia 2018 Readers' Choice Awards. 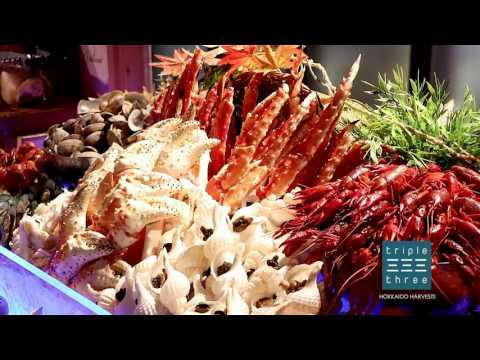 Mandarin Orchard Singapore’s Japanese-inspired international buffet restaurant, Triple Three, brings the hugely popular Hokkaido Harvests food promotion back for ten days only, from 11 to 21 October 2018. 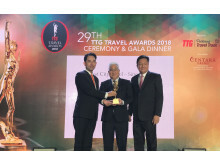 Mandarin Orchard Singapore was named “Best City Hotel–Singapore” at the 29th Annual TTG Travel Awards 2018, marking the hotel’s sixth consecutive year to clinch the coveted title. Mandarin Orchard Singapore, in collaboration with the Embassy of Peru in Singapore and the Commercial Office of Peru in Jakarta, presents Flavours of Peru at award-winning international buffet restaurant, Triple Three. Shisen Hanten by Chen Kentaro at Mandarin Orchard Singapore has been awarded two stars in The MICHELIN Guide Singapore 2018, marking its third consecutive year as the highest Michelin-rated Chinese restaurant in Singapore. To celebrate Mid-autumn, Mandarin Orchard Singapore unveils an exquisite selection of mooncakes encased in a brand new packaging. Crafted to perfection by its award-winning culinary team, these delicate mooncakes will be available from 17 August to 24 September 2018. 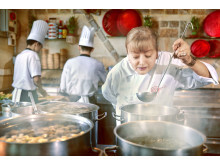 Located in Singapore and Malaysia, award-winning Meritus Hotels & Resorts offers an unrivalled hospitality experience marked by the brand’s signature Asian Grace, Warmth and Care delivered at every turn, every time.